To Wash Colored Garments + Prevent Fading Teaspoonful of sugar [?] [load?] 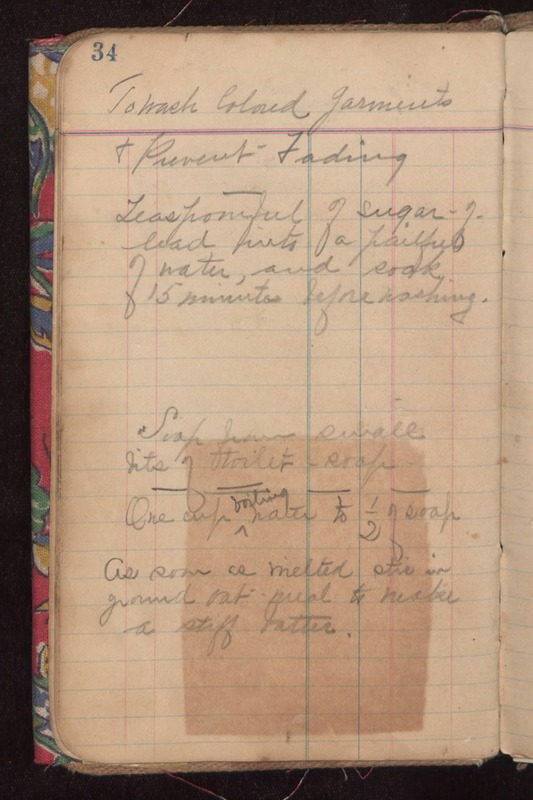 into a pailful of water, and soak 15 minutes before washing Soap [from?] small bits of toilet soap One cup ^boiling water to 1/2 of soap As soon as melted, stir in ground oatmeal to make a stiff batter.